HSM Welcomes True Horsemanship Seminars! 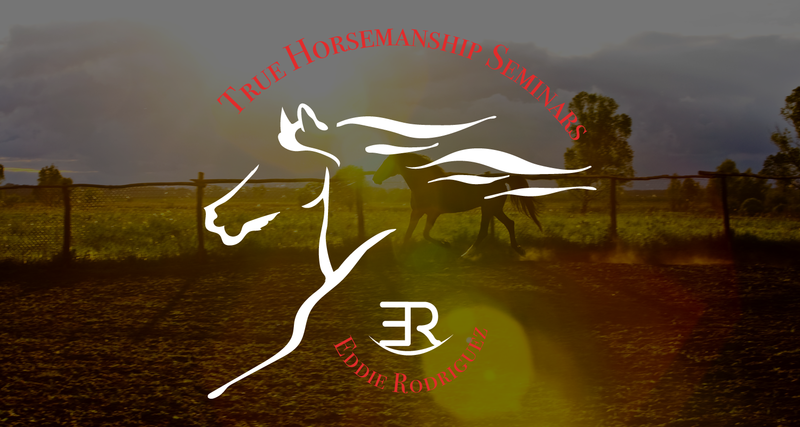 Eddie “Rocking ER” Rodriguez, Founder/Owner of True Horsemanship Seminars, has over thirty years of experience studying and learning from some of the best horse trainers in the world. Eddie has taken the most effective and easily adaptable techniques from dressage and western training, and has applied them to his own program of communicating and developing trust with the horse. Eddie’s eclectic approach on training, Progressive Operant Superior Training (POST) builds a “true partnership” and creates the “want to attitude” in the horse. Eddie believes both disciplines, English and Western have a lot to offer the horse. Western concepts help supple the horse so it benefits from its natural athletic abilities; the English concepts develop a relaxed, balanced horse that performs with graceful, flowing movements. Training in both disciplines develops muscles that would not be used if only trained in one process. Eddie considers this to be a great way to progressively improve the horse, the rider and the relationship that he is continually striving to improve.